SS Flanges, Stainless Steel Flanges, SS Flanges Manufacturers & Exporters, SS Flanges Suppliers. 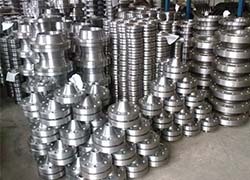 We Royal Steel India, are one of the leading Manufacturer, Exporter & Supplier of Stainless Steel Flanges. We offer a wide range of Stainless Steel Flanges in order to meet the varied requirements of our clients. Offered products are manufactured with thick and hard stainless steels incorporating latest technology. As per the varying demands of our clients, we are offering these products in different sizes in order to fit standard pipe. Owing to its high tensile strength, longer service life and quality, these products are widely used to blank off the ends of values as well as openings.